Although the Ugandan government can boost the security of its fledgling oil industry from future terrorist attacks that may scare away certain investors, Africa analysts doubt violence replicating the twin bombs that struck during the World Cup final is likely. Somali militant group al-Shabab claimed responsibility for explosions that tore through the capital Kampala July 11 and killed more than 70 people. Infuriated over Uganda’s participation in the African Union Mission in Somalia – which may grow if Ugandan President Yoweri Museveni gets his way – al-Qaeda-linked al-Shabab has pledged more terror. The oil industry has not been singled out as a target, but “one would naturally assume that it would be one of the areas that terrorists would look at,” warned Peter Pham, senior vice president of the National Committee on American Foreign Policy, a New York-based think tank. The bombings underscore that the Ugandan government and its regional and international partners, both public and private, need to “perhaps devote more thought and resources to protecting the infrastructure that has been or is in the process of being built,” he said. He was referring to a reverse-flow pipeline between Uganda and Kenya and other construction underway. The Uganda People’s Defence Force is an “experienced, well-armed, and largely well-trained body,” but the country needs to secure its economic future through a force that can protect the infrastructure that is the “country’s lifeline” rather than a “battle-ready army,” added Pham. If al-Shabab can travel over boundaries and carry off “pretty sophisticated double bombs,” it can also venture to remote regions of the country where oil exploration is centered, said Philippe de Pontet, an Africa analyst in Eurasia Group’s Washington office. There is a valid argument that once the oil infrastructure is all in place, in particular a 2,000-kilometer pipeline, it may become a target, he said. However, de Pontet contended, pipelines everywhere in the world are a concern, so this particular terrorist attack does not heighten that risk in a “material way.” He said the pipeline is several years away from being built. The World Cup-related bombings “might be enough to spook” Investors who know little about Uganda and the region, de Pontet told OilPrice.com. In this sense a country’s image counts, particularly in regard to incoming investment, he noted. The violence may deter an international oil company that is “perhaps dipping its feet in the waters but concerned about being sort of stuck, so to speak, right in the middle of Africa, a landlocked country,” he said. But the potential for such a reaction is not significantly high, he conceded. The Ugandan government deployed troops permanently about four years ago to the Lake Albertine Graben area, the center of oil exploration about 250 kilometers from Kampala, Lawrence Bategeka, a senior research fellow at the Economic Policy Research Center in Kampala, told OilPrice.com in an e-mail. Albertine Graben is located on the borders of the Democratic Republic of Congo (DRC) and southern Sudan, Bategeka said. Bategeka believes the government is taking the necessary steps to safeguard the industry. The UPDF works with foreign partner companies to ensure the security of oil exploration and production infrastructure on the ground, Bategeka noted. The organization most likely to disrupt exploration activities are anti-Ugandan rebel groups based in DRC, which is why the government has provided enough protection, he said. Uganda's oil industry is still at the exploration phase, he said. The drilled wells and the drilling equipment, as well as a small hydropower station being constructed in the Albertine Graben, also account for the assets the Ugandan security forces are guarding, he noted. For the most part, analysts say the bombing is most likely a one-off attack by al-Shabab. “It’s possible there could be others but frankly they’ve already made their point,” and this kind of attack is not easy to pull off by this group at such a distance, Eurasia Group’s de Pontet said. embraced by Museveni’s government, Pham said. 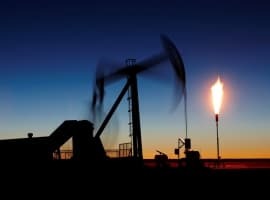 The oil reserves discovered in Uganda are estimated at more than 2 billion barrels (with less than 40 percent of the Albertine Graben explored), Bategeka said. Once production starts, daily oil production will range from 200,000 barrels to 300,000 barrels or even higher, making Uganda one of the top five oil-producing countries in Africa, he said. Uganda is interested in adding value to its oil rather than simply exporting it in crude form and, to this end, his research center is working on a study to advise the government about the economic implications of such a decision, according to Bategeka. Uganda is also working on an oil law that will likely pass over the next few months. The anticipated oil revenues will help the government improve access to higher education and strengthen road networks and air travel services, said Ezra Suruma, a distinguished visiting fellow at the Brookings Institution in Washington. The African nation’s dependence on donor aid, now roughly 25 percent of the budget, will probably drop to “10 percent or less,” said Suruma, a former minister of finance, planning and economic development in Uganda. He is now the country's senior presidential adviser on finance and planning.